The safety that airbags provide is undeniable. Unfortunately, faulty airbags do happen and when they do, cars are recalled. Injuries and deaths have been the result of airbag malfunctions. Those affected have filed lawsuits for their injuries. 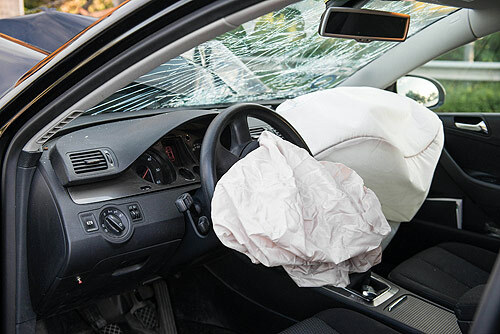 If you or a loved one has been affected by a faulty airbag incident, Medical Claim Legal can help get you the compensation you deserve. Takata Corporation is the industry giant when it comes to airbags. The most common and well known use of airbags is in automobiles. Recently Takata has been in the middle of one of the biggest automobile recalls in history. Tens of millions of cars have been recalled due to exploding airbags made by Takata. The National Highway Traffic Safety Administration is taking the steps they can to address the Takata situation. Although NHTSA cannot take steps to gain compensation for those harmed, Medical Claim Legal can. You can check for all car recalls here. No matter the type of recall, if you were injured, you deserve to know the whole story. That story could lead to a lawsuit and compensation in your favor. Medical Claim Legal knows injuries from airbag accidents and car accidents are serious. If such injuries were the result of a faulty airbag or other car recall, you could be entitled to compensation. We have a network of lawyers who are ready to work for you. A consultation with Medical Claim Legal costs you nothing. Let us help you get the compensation you deserve.